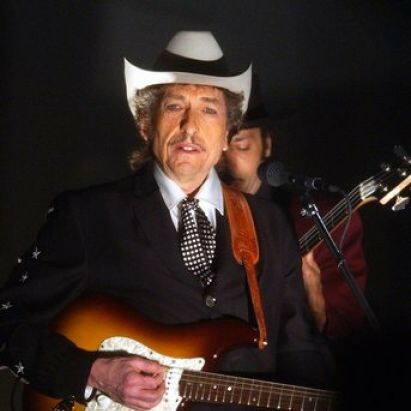 Bob Dylan only released one new song in 2011, and that was one that was co-written by Hank Williams. When Williams died in 1953, at the age of only 29, the police found a notebook of song lyrics in his Cadillac. Over a period of years the notebook moved from owner to owner until it was reportedly found by a janitor in a dumpster at Sony. The janitor kept it and sold it, and Sony brought criminal charges against him. When he was later exonerated of the crime, the notebook made its way back into the arms of Sony. The record company then decided to have the lyrics set to music and recorded. They turned to Bob Dylan to do that. Good choice in terms of someone who would do an excellent job. Bad choice in terms of someone who would actually follow through on the project. Dylan wrote the music for one song and recorded that, but the project was eventually take out of his hands so that it could be completed. 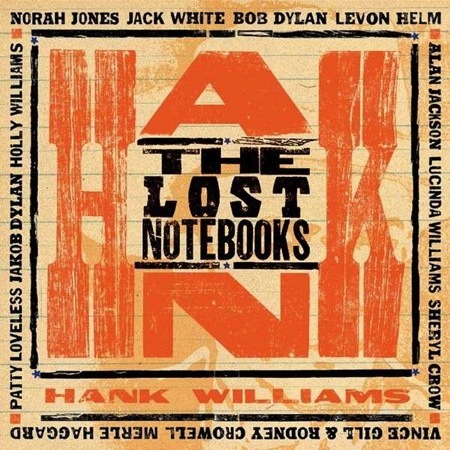 The resulting album, The Lost Notebooks of Hank Williams, is really quite great. I hadn’t heard it previously, but I like almost everything on it. It is exactly what you would want from it: a whole bunch of talented people doing Hank Williams pretty faithfully. Lots of fiddle and slide guitar, just as it should be. My favourite song on the album is the opener, “You’ve Been Lonesome, Too”, by Alan Jackson, but there are great contributions by Gillian Welch and Norah Jones, Lucinda Williams, Vince Gill, and Sheryl Crow, among others. It’s an all-star record (Merle Haggard! Jack White! Levon Helm!) and everything is at least listenable. Good stuff. Dylan’s contribution is solid. Lots of slide guitar and a bit of a swing sound. Dylan croons with his nasal twang and the whole thing works well. This would have made an interesting album if he had done the whole thing – I like this song better than I liked his Christmas album, for instance – but it is possible that it would have been too much. I’m not certain that a complete Dylan album here would have actually been better than what was eventually produced. Typical of recent troubles, there is a fan-made YouTube video of this song but Sony has had the sound take off of it, so I’m not sure what purpose it still serves. The whole album is on Spotify. Go stream it.